Not much remains to be seen at this monument which is said to have existed since the 4th century. 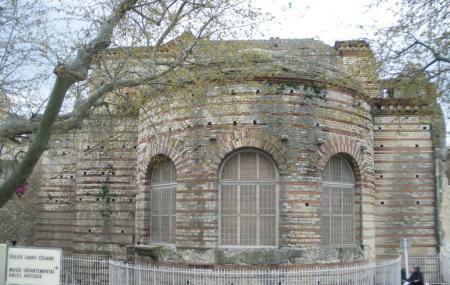 Then, the Baths of Constantin was a private place for the royalty to visit. Now, it is long abandoned from serving its original purpose. Even then, the great Roman structure is worth a visit. A caladrium ,which was like a spa, heated with the help of a suspended floor heating system known as a hypocaust. Three swimming pools or solia. Two of the swimming pools are rectangular while the third is semi-circular. The solia also enabled lovely, tepid baths and dry baths. The ruins of this place are greatly fascinating. They make you imagine the life and style with which the emperors lived. The realisation of the ancient technology makes your jaw drop in wonder. There is much to learn in every piece that history has to offer. How popular is Baths Of Constantin? People normally club together Hammam Chiffa and Museon Arlaten while planning their visit to Baths Of Constantin. About a quarter of the original building remains, which makes it difficult to understand. However is still worth a visit, if you're doing the other Roman sites, with the multi-site tourist pass. Nothing much remains of the 4th century Roman baths, but it is interesting to wander around these ruins and ponder on the people who lived here 1700 years ago. A pleasant half hour can be spent here, for the modest fee of €4.